Alpha Link Towers are amazing playable art pieces designed by Landscape Structures! 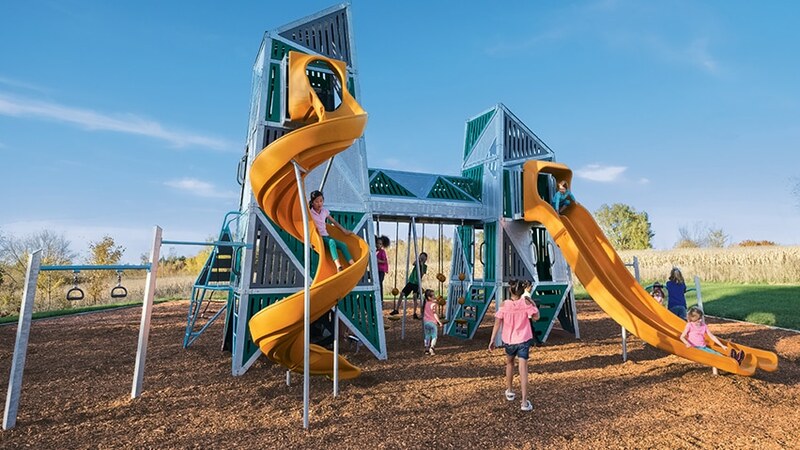 Two towers double the climbing challenges and are linked by an elevated crawl tunnel for an exhilarating scramble from one tower to the other. It’s a physical and social wonderland where imaginations can literally soar! 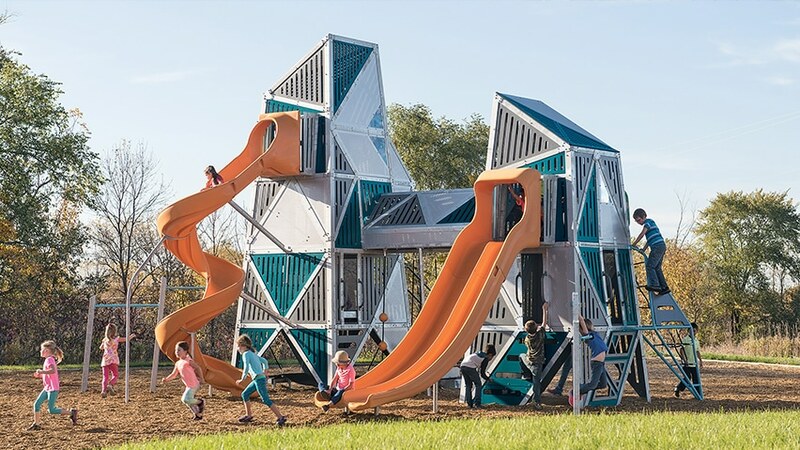 The funky geometric design of the playstructure and contemporary patina of the Hot Dip Galvanized (HDG) steel frame will turn any playspace into a destination playground. Click here to request more information on the Alpha Link Towers.